The World’s LONGEST, TOUGHEST Snowmachine Race! 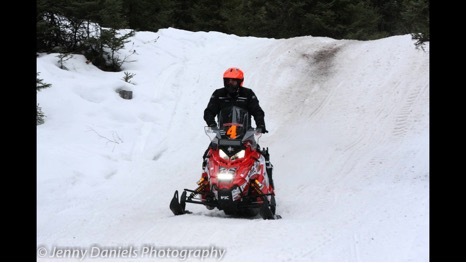 Dan Thibault and Marcus Jensen signed up as Team #4 to race the 2016 Iron Dog in August 2015. 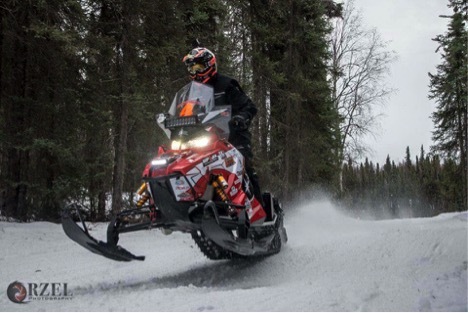 The Iron Dog is a 2,031-mile race where teams of two travel on two snowmachines through some of Alaska’s most remote and rugged terrain while being challenged by some of the harshest winter conditions. 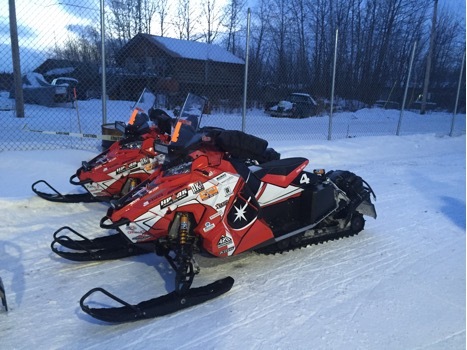 The race starts in Big Lake with a halfway stop in Nome and ends in Fairbanks. 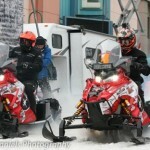 The Iron Dog is known as the world’s longest, toughest snowmachine race. Team #4 was on a practice ride 10 days before the start of the race when Marcus hurt his back and could not continue the race. On Monday, with only 5 days left before race day, Dan was left without a teammate so he made a phone call to Bobby Menne; a pro cross country racer from Virginia, MN. With less than 12 hours’ notice, Bobby packed his racing gear and was on his way to Alaska ready to race in the 2016 Iron Dog. This created the new Team #4: Dan Thibault/ Bobby Menne. On Sunday February 21, Team #4 started the race in position number 7 out of 41 Pro Class Teams. 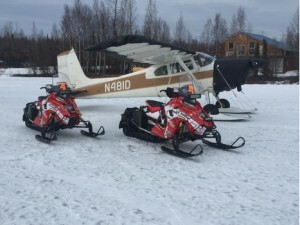 From Big Lake to Nome, each team stopped at 14 different checkpoints to refuel their machines and to take a mandatory 30 hours in layover time. The checkpoints are in rural villages where people open their homes, give the racers a bed to sleep in and cook a hot meal. Team #4 arrived at the halfway point in Nome, covering 1049 miles with a clean ride in a strong 7th place position. They completed 22 minutes of wrench time on their machines in the Nome garage which is added to their total course time. This is the only point in the race where the racers are able to work on their machines in a garage and make any needed repairs before completing the 2nd half of the race. They departed Nome in 10th place on February 25th and started the 982-mile journey to the finish line in Fairbanks. 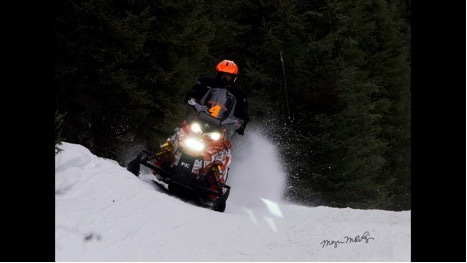 Dan and Bobby rode 2016 Polaris Axys Switchback machines which held up strong with only a minor crash causing a needed ski replacement. James Spikes was their chase plane pilot who flew a Cessna 180. 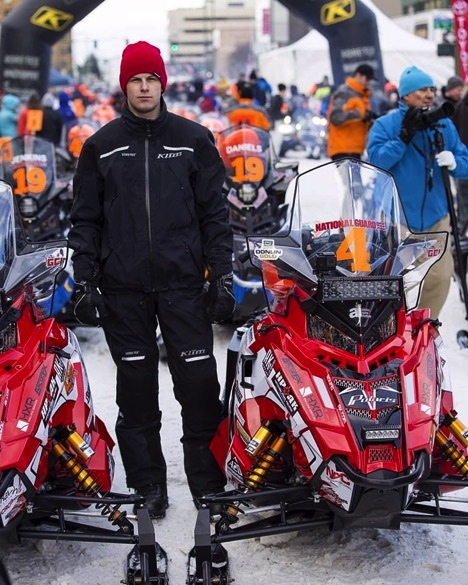 James flew the entire course following Team #4, checkpoint to checkpoint carrying snowmachine parts in case they were needed. After another 11 checkpoints and 20 hours of layover time, on Saturday February 27th, Team #4 came zooming across the finish line in Fairbanks in 9th place.